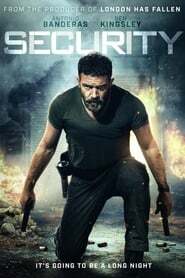 An ex-special services veteran (Antonio Banderas), down on his luck and desperate for work, takes a job as a security guard at a run-down mall in a rough area of town. 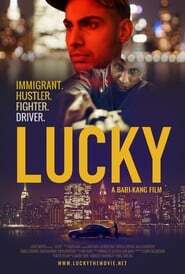 On his first night on the job, he opens the doors up to a distraught and desperate young girl who has escaped and fled from a hijacking of the Police motorcade that was transporting her to testify as a trial witness in a briefcase. Hot on her heels is psychopathic hijacker (Ben Kingsley), alongside his resourceful henchmen, who will stop at nothing to extract and eliminate their witness. Huo Yuan Jia became the most famous martial arts fighter in all of China at the turn of the 20th Century. Huo faced personal tragedy but ultimately fought his way out of darkness, defining the true spirit of martial arts and also inspiring his nation. The son of a great fighter who didn’t wish for his child to follow in his footsteps, Huo resolves to teach himself how to fight – and win. Set in the near future in a lawless world. Kurisu Saotome (Kirara Asuka) is a beautiful woman, but she is also a deadly bounty hunter. She wears an armored suit, possessing great power, and she is known as Iron Girl. Kurisu Saotome doesn’t remember who she really is or where she comes from. To regain her memory, she continues her lonely battle. The movie is a post-apocalyptic horror/science fiction film. the setting is in a near post apocalyptic future where a biological warfare program goes wrong, and turns most of humanity to mindless, murderous creatures. Lou Diamond Phillips and Fred Gwynne team up with a gang of professional criminals who have everything it takes to rob a bank. The only things they do have going for them are a cop and his partner, who are dumber than they are! By the time the gang hits the bank vault, it’s a safe bet there’s going to be organized insanity and disorganized crime! Robocop saves the day once more. This time the half man/half robot takes on ruthless developers who want to evict some people on “their” land.